117” wide x 81” deep x 101” high. 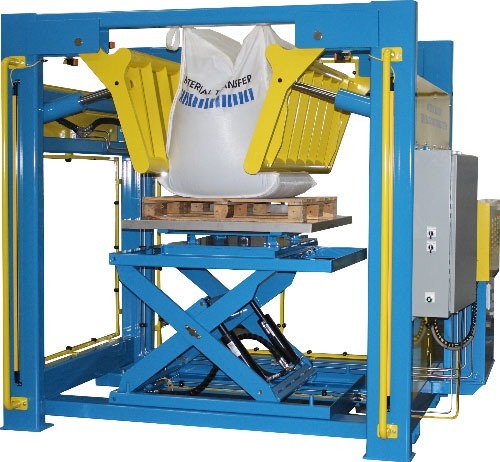 Powered lift table with manual turn table allows complete conditioning of a wide range of bag sizes. Machine features clear acrylic guarding with a load side light curtain for operator safety. NEMA 4 electrical enclosure with momentary contact controls and flange mounted electrical disconnect. Premium quality Parker hydraulic system with 10 HP TEFC motor and dual, submerged 5 GPM pumps.